Kesh Events is an award winning event production company planning and designing opulent wedding in Chicago and destinations around the world. Under the direction of owner and nationally recognized wedding expert, Akeshi Akinseye, we offer a hands on approach to weddings orchestrating unforgettable celebrations and one of a kind experiences. Recognized for our exquisite style and lifestyle approach to weddings and events, we are proud to cater to a vast client base including celebrities and athletes. We are thrilled to offer destination wedding planning services. Some of our destination wedding locations include luxury venues in greece, thailand, dubai, jamaica, los angeles and more. Akeshi Akinseye is the founder and creative force behind Kesh Events. Akeshi's unique style and passion for transforming spaces into timeless and romantic settings has established her as a top planner and event designer for clients all over the world. Akeshi has produced over 100 weddings and events. Her keen eye, attention to detail and knack for perfection is what her clients love about her. She brings the art of creativity and personalization to every single event making her the best at what she does. Akeshi's work and wedding articles can be seen in Inside Weddings, Grace Ormonde, Strictly Weddings, Modern Luxury Weddings, Munaluchi Bride, Wed Luxe, The Knot, Strictly Weddings, ABC Chicago and more. Her clientele includes celebrities and athletes. Kesh Events is an award-winning event planning and design firm located in Chicago. 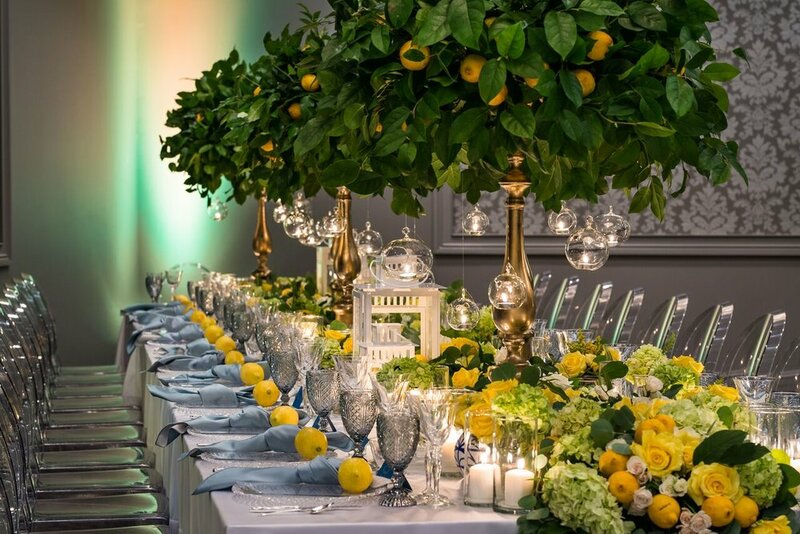 Known for our flawless eye for details, opulent over the top florals and design aesthetic, Kesh Events has quickly become the go-to planner and designer for clients of the most discerning tastes internationally! Under the attentive eye of Akeshi Akinseye, Kesh Events offers a hands-on approach to weddings and events; orchestrating a one of a kind curated approach to life’s most unforgettable celebrations. Recognized for our unrelenting elegance and style, Kesh Events has garnered a reputation for carefully articulating their clients love stories, while also implementing style, charm, and sophistication into every detail of their special day. It’s these key characteristics that has allowed Kesh Events to garner a vast portfolio of high-end returning clients, which includes celebrities, athletes and government officials alike. We are thrilled to offer destination wedding/event planning services. Some of our destination celebrations include properties in the Middle East, Asia, Europe, The Caribbean and more. President of Kesh Events, Inc.
Akeshi Akinseye is the founder and creative force behind Kesh Events.Akeshi's unique style and passion for transforming spaces into timeless and romantic settings has established her as a top planner and event designer for clients all over the world. Akeshi has produced over 100 weddings and events. Her keen eye, attention to detail and knack for perfection is what her clients love about her. She brings the art of creativity and personalization to every single event making her the best at what she does. Akeshi's work and wedding articles can be seen in Inside Weddings, Grace Ormonde, Strictly Weddings, Modern Luxury Weddings, Munaluchi Bride, Wed Luxe, The Knot, Strictly Weddings, ABC Chicago and more. Her clientele includes celebrities and athletes.